My daughter and I loved this place. We were there during the “off season” in late March but it was warm and sunny. We had a quiet, relaxing evening. Dennis, the host, offered to drive us to the Temple for sunset and showed us an “off-the-road” path back to the villa. Breakfast was included and it was outstanding. Even received extra helping of coffee- not common in Greece. There was trouble getting a taxi to the airport because of a national holiday parade so Dennis took us himself. What a host. The views are spectacular and the room was clean and just as described online. The owner was kind enough to offer to take us to the airport after our stay. He gave us a tour on the way back of the area. 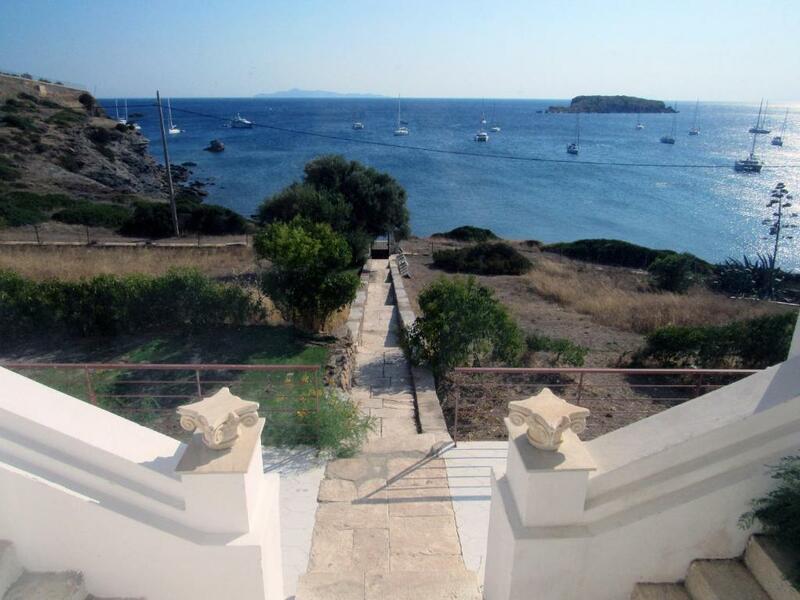 Villa is set on a beautiful stretch of the coast within walking distance from the Temple of Poseidon. We had the place to our selves as it was the middle of November. Walk down the hill to the beach below the temple for lunch and marvel at the view. Stayed at the Prince apartment for the view. Mr. Dennis was a very good host. I saw some reviews stating that the place was not clean. I disagree with it. The room was clean and very comfortable. We had a pleasant stay and will come back again. I recommend it to everyone, for the amazing sea view and the kindness of the host. The staff make this property amazing. The location speaks for itself, and offered a beautiful view of the Aegean Sea and our room, in particular, offered a clear view of Poseidon’s temple. Don’t expect the Hilton, but trust me that you will enjoy the charm of this family run retreat. We hated to leave and would stay there again. Dannis has been very kind and friendly in guesting us. The view is indeed pretty nice but very similar to many others in all the coastal road. The bed linen and towel were clean. To be recognized the enthusiasm of Dennis to make a good holidays place but the work and outcome is not quite there. Denny was a fantastic host. He advised us of the local area upon our arrival and made a great restaurant recommendation. The property is about a mile walk to the fabulous Poseidon Temple. Our accommodations were comfortable and clean. Great hoste. Great views and location. Room clean and comfortable but hotel refurbishment still ongoing. The location was excellent and the hosts were very friendly and nice. Dennis and Olga went above and beyond in accommodating our needs during our stay, making us feel welcome and a part of their family. Dennis kindly gave us a ride to the market in Lavrion and a wonderful tour of the port city. Additionally, the location was perfect for a quick 5 minute walk to and from the Temple of Poseidon, allowing us to explore the site and it’s beautiful surroundings with ease. Apart from the incredible view of the water and the Temple, the accommodations were wonderfully clean, spacious and comfortable. The water was very hot, bed comfy, towels soft and kitchen fully stocked (Olga and Dennis ensured we had everything we needed to prepare a lovely grilled fish dinner.) The breakfast was delicious and prepared with love. We highly recommend Poseidon Beach Villas and will be back next time we visit! Lock in a great price for Poseidon Beach Villas – rated 8.4 by recent guests! Poseidon Beach Villas This rating is a reflection of how the property compares to the industry standard when it comes to price, facilities and services available. It's based on a self-evaluation by the property. Use this rating to help choose your stay! 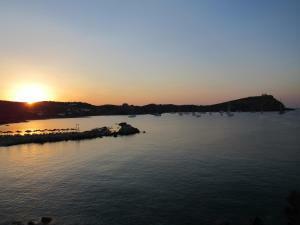 One of our best sellers in Sounio! 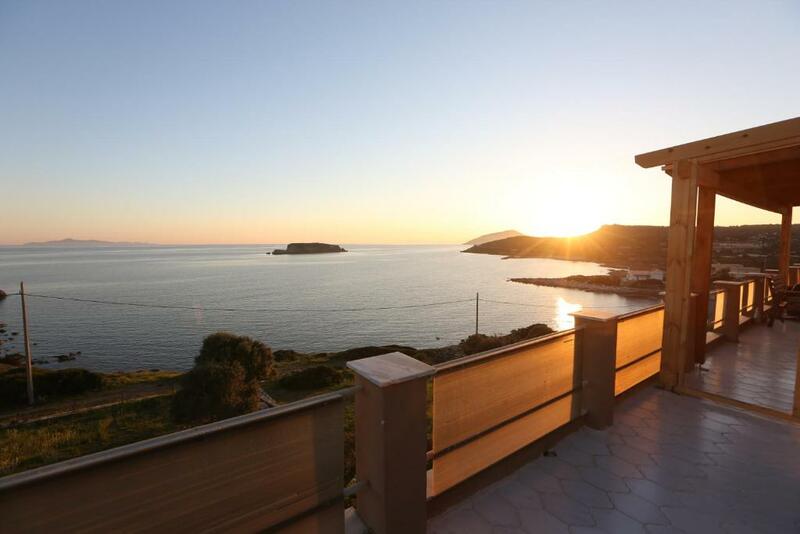 Offering a sun terrace and views of the sea, Poseidon Beach Villas is located in Sounio. Temple of Poseidon is 2,650 feet away. Free WiFi is offered throughout the property and free private parking is available on site. All units are air conditioned and include a seating area with a flat-screen TV. There is also a kitchen in every unit. In-room breakfast can be served upon request and at extra charge. The sea can be reached within 100 feet. 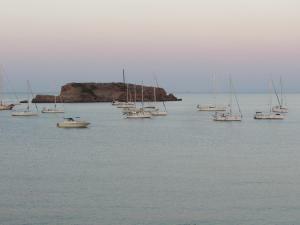 Lavrio Port is 4.3 mi from Poseidon Beach Villas. 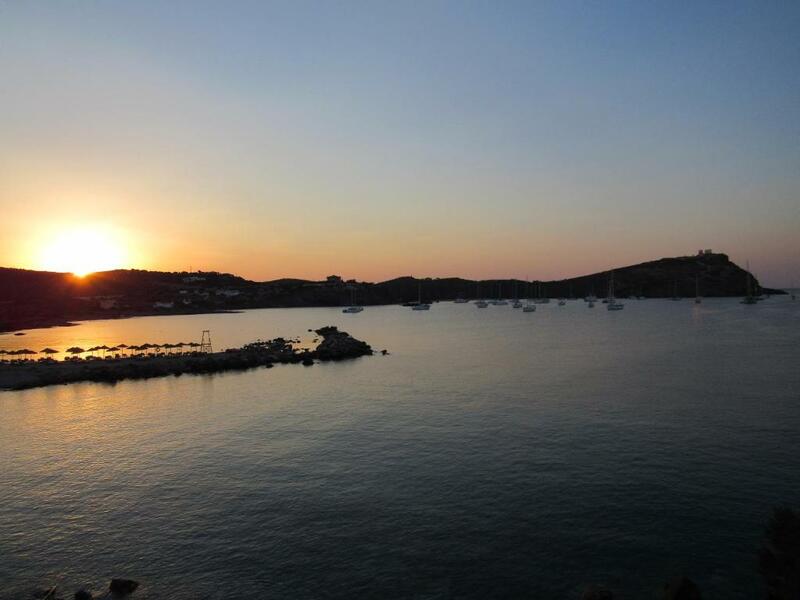 The nearest airport is Elefthérios Venizélos Airport, 20 mi from Poseidon Beach Villas. When would you like to stay at Poseidon Beach Villas? This apartment features a stovetop, toaster and soundproofing. This apartment features a balcony, soundproofing and electric kettle. This apartment has a tile/marble floor, flat-screen TV and toaster. This apartment has a balcony, private entrance and sea view. This apartment has a kitchenware, barbecue and microwave. Please note that this apartment has no window, but has a window door from where guests enter the apartment. This holiday home has a flat-screen TV, kitchen and electric kettle. 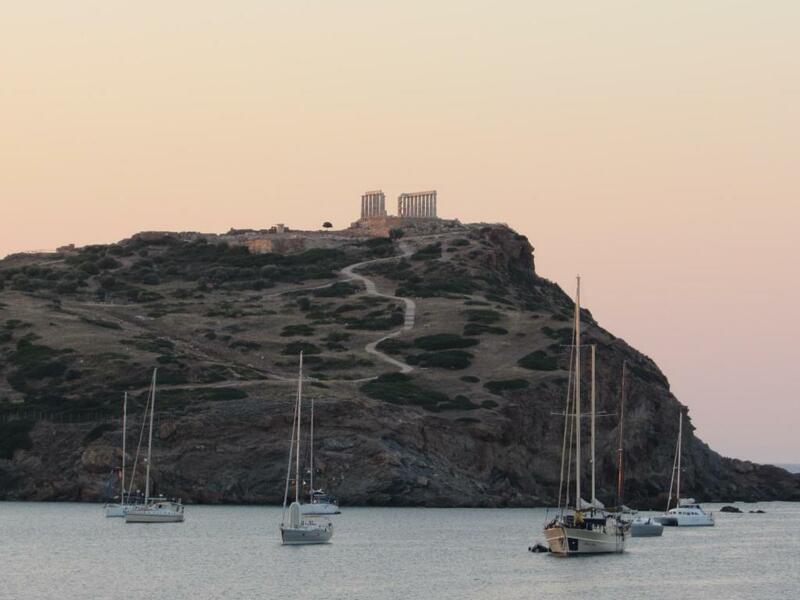 The accommodations are next by the temple of Poseidon with a spectacular view which includes the ancient temple as well as the Aegean Pelagos. The sea is a stone thrown away, and within a short driving distance (9km) there is the port of Laurion. Also the airport distances its self within 42km. House Rules Poseidon Beach Villas takes special requests – add in the next step! Its really a magic place! The view is amazing, you have the chance to eat your excellent breakfast outdoor and admire the total blue. Mr Dennis is a perfect host that gave us a lot of useful information and made us feel like our home. The suite was excellent, very clean and also well decorated . Unfortunately, we stayed only for one night , but we will be back there for sure soon! The shower was great, Nice towels. Clean, crisp sheets. Beautiful location & view. Friendly host. Could use shelves in the bathroom and shower. We would have liked to stay much longer! The breakfast, the owner, the gorgeous view. Quiet, secluded beach. Within walking distance to Poseidon's temple. Sunsets to die for. I was amazed by the breathtaking view! Full view of the sea from everywhere, I couldn't get enough of it.The environment was peaceful and pleasant and the accommodation clean and comfortable. The architecture complimented the natural beauty of the area and the staff was polite and helpful. I will definitely be visiting for a longer stay in the future, especially since the pricing is beyond reasonable compared to other listings in the area! Beautiful peaceful retreat away from it all. Stunning views and private beach, perfect or a short break will definitely go again when i have more time. Host Denis was very helpful and knowledgable about the area. My stay was too short. My flight not quick enough to get there fast. My booking should have been longer. The most amazing thing is the views, I feel like a movie star in a Hollywood film. I'm coming back to feel like a star again very soon. The host was fantastic and very helpful I think his name is Dennis. Over all I enjoyed my stay but it was too brief. I recommend booking for a longer time than I did. 10 Euro breakfast overpriced, cold tea, ants in honey, minimal choice of condiments, stale bread. The property needs to separate the dinning room from the office as the manager was doing his office work whilst we were trying to have breakfast (it was a bit awkward and uncomfortable).